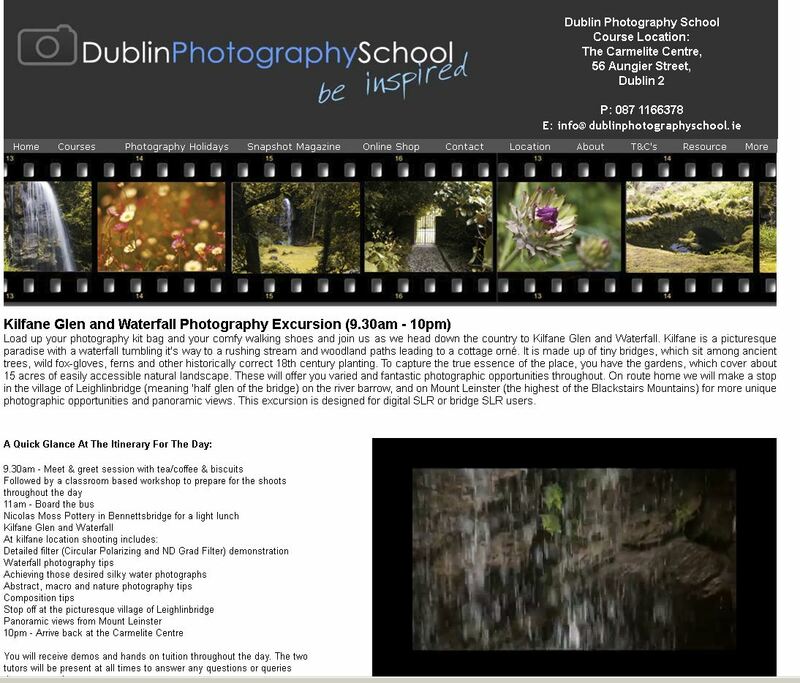 Load up your photography kit bag and your comfy walking shoes and join us as we head down the country to Kilfane Glen and Waterfall. Kilfane is a picturesque paradise with a waterfall tumbling it’s way to a rushing stream and woodland paths leading to a cottage orné. It is made up of tiny bridges, which sit among ancient trees, wild fox-gloves, ferns and other historically correct 18th century planting. To capture the true essence of the place, you have the gardens, which cover about 15 acres of easily accessible natural landscape. These will offer you varied and fantastic photographic opportunities throughout. On route home we will make a stop in the village of Leighlinbridge (meaning ‘half glen of the bridge) on the river barrow, and on Mount Leinster (the highest of the Blackstairs Mountains) for more unique photographic opportunities and panoramic views. This excursion is designed for digital SLR or bridge SLR users. Detailed information, pricing and booking are all attached in the link Here.